Axillary lymph node dissection is an established procedure in breast cancer staging. However, it is associated with unpleasant side effects. A promising alternative to assess axillary lymph node status in early breast cancer patients is Sentinel Lymph Node Biopsy (SLNB). Isosulfan blue has traditionally been the dye used to identify the Sentinel Lymph Node (SLN). 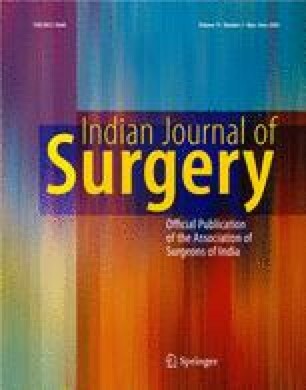 This article is a validation study of SLNB using methylene blue dye and radioactive sulphur colloid in early breast cancer Indian patients. With written informed consent, 100 patients with cytology or biospy proven carcinoma breast, clinical stage T1/ T2 N0 M0, underwent SLNB using combination of methylene blue dye & radioactive technetium 99m sulphur colloid as a part of validation study from June 2003 to February 2006. After validation study, from March 2006 to February 2007, 35 patients have undergone SLNB followed by complete axillary clearance in only those patients with SLNB being positive for metastases. In all 100 patients of the validation study SLN was identified. Total number of cases with positive axillary nodes was 27, out of which SLN was only positive node for metastases in 69% of cases. The overall sensitivity, specificity, positive predictive valve and negative predictive valve of SLNB 96.2%, 100%, 100% and 98.6% respectively with false negative rate of 3.7%. In subsequent 35 patients who underwent SLNB followed by complete axillary clearance, SLNs was identified in all the cases. SLNB is effective in early breast cancer patients of Indian population. SLNB using combination of methylene blue dye and radio-active Tc99m sulphur colloid can stage the axilla with high accuracy & low risk of false negativity in early breast cancer patients.